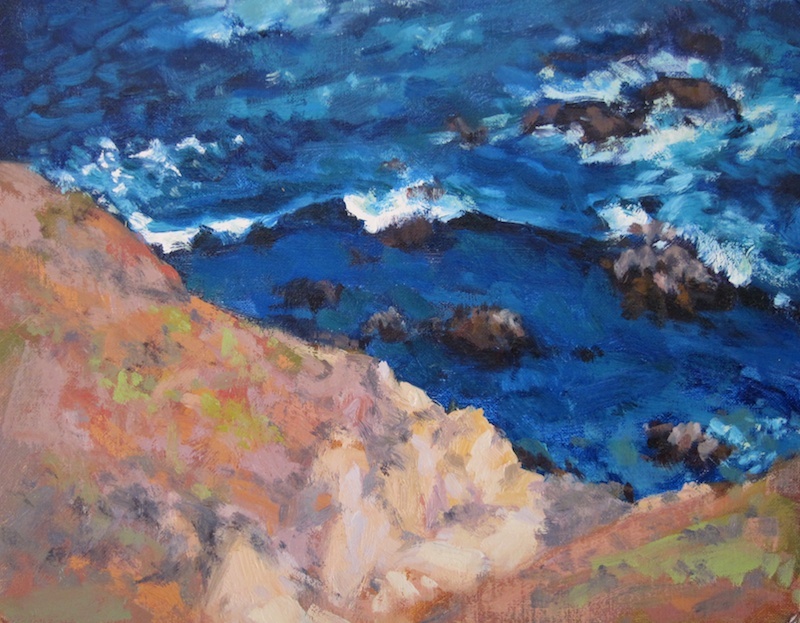 One more Big Sur painting as I prepare to paint the central California coast for San Luis Obispo Plein Air next month. 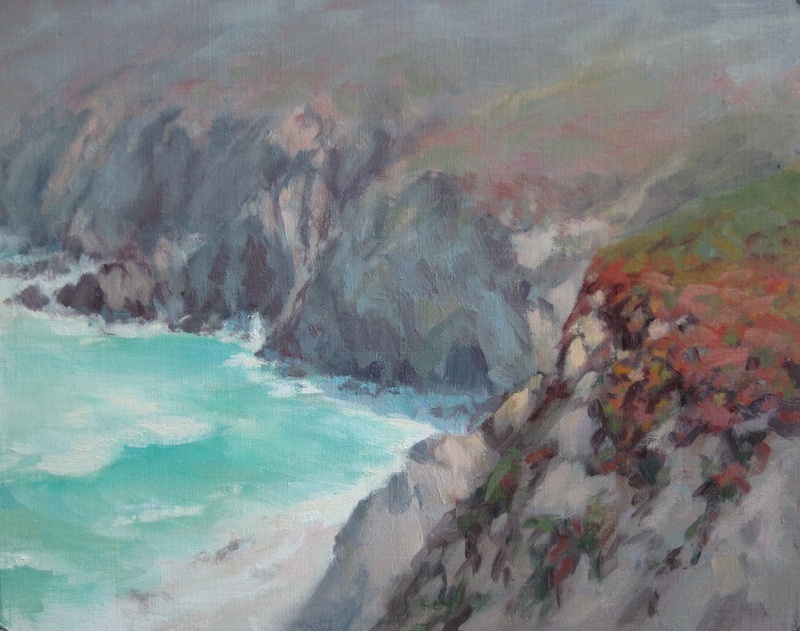 It was fun in this painting to abstract the distance obscured by fog. Let’s hope it’s not foggy when I’m there (although, hey, I’m getting lots of practice). I’m headed to The Sierras tomorrow, where the temperature is scheduled to range between 85-95! I plan to test out water color a bit more, to prepare for my trip to Sydney in November. Cheers! The California coast delivers weather that varies from bright sunshine to fog–all in the same spot, the same hour! 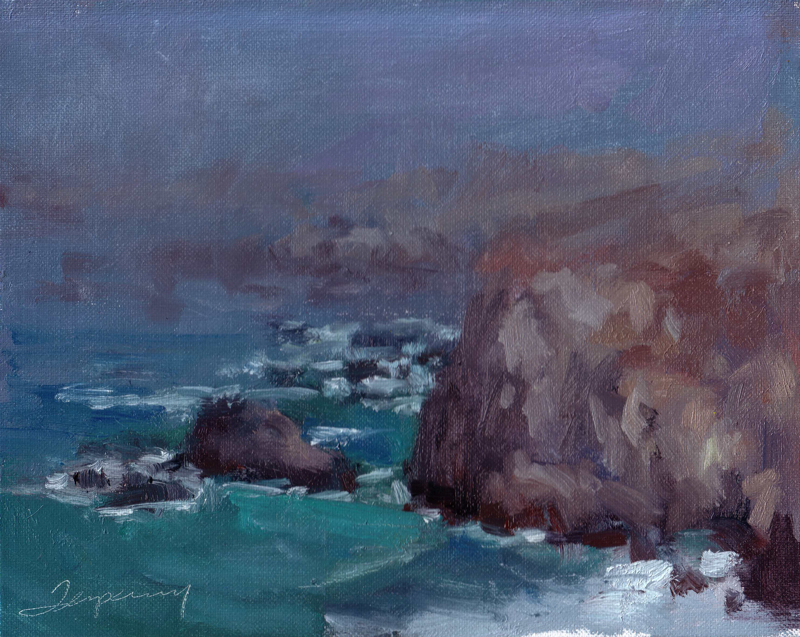 This foggy day version of Big Sur is the other side–the foggy side–of my last sun-lit coastal painting. 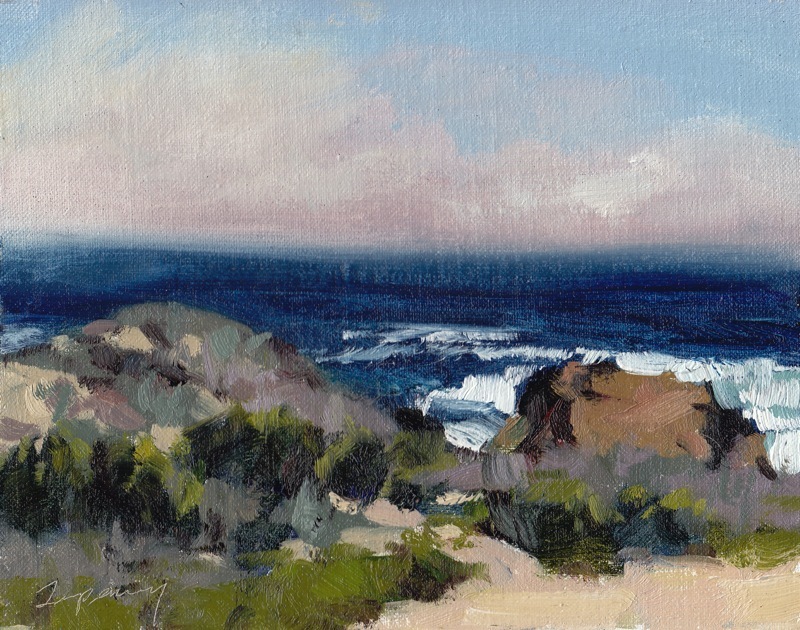 As I start to prepare for the San Luis Obispo Plein Air show in October, I’ve been referring back to photos from my recent plein air painting trip to paint studio work. What struck me about this scene was the strong contrast between the sea and sun-lit land, much as represented in by Sorolla in his incredible works of the Spanish coast (like this one). 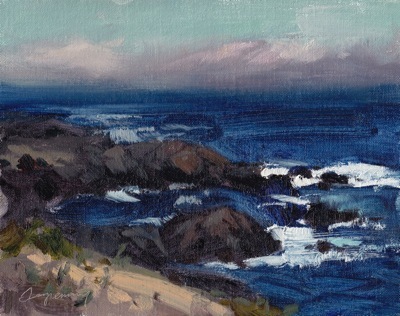 It’s a meeting of two worlds, which is what interests me so much about seascapes. This was pretty difficult to photograph, by the way. The water is deeper and more varied with subtle greens. It’s seems it’s difficult for the camera to pick up both those details and the subtle land colors at the same time. The colors of the desert are so distinctive. 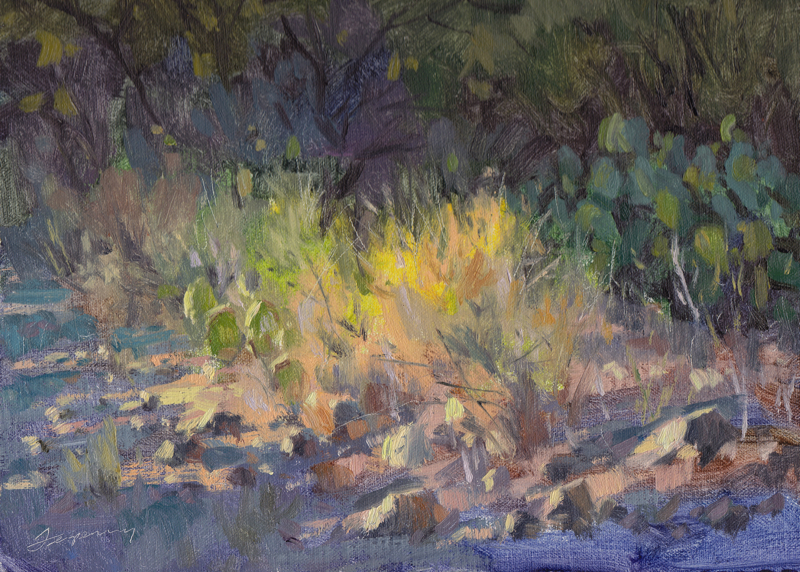 Yes, there are spots of bright color here and there, but in general, I find the colors to be “mellow”, varied and yet quite harmonious. 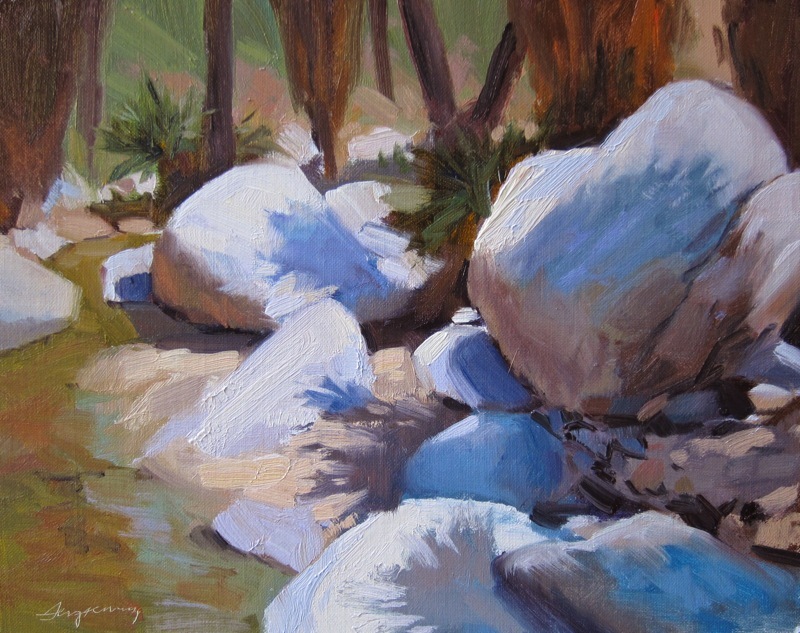 This was painted from a reference photo I took outside Tucson, Arizona. I started with transparent washes across the entire painting, from the dull green at the top to the blue-violet in the foreground. 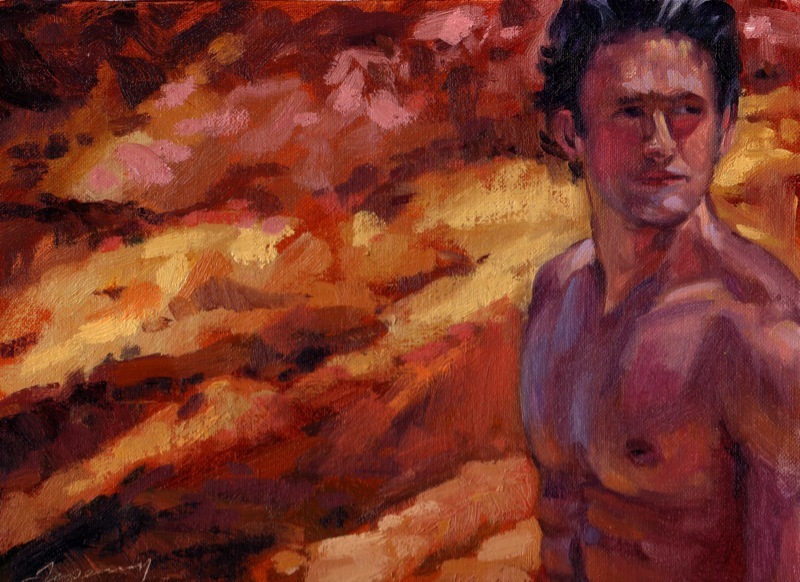 You can still see much of this initial wash in the finished painting. 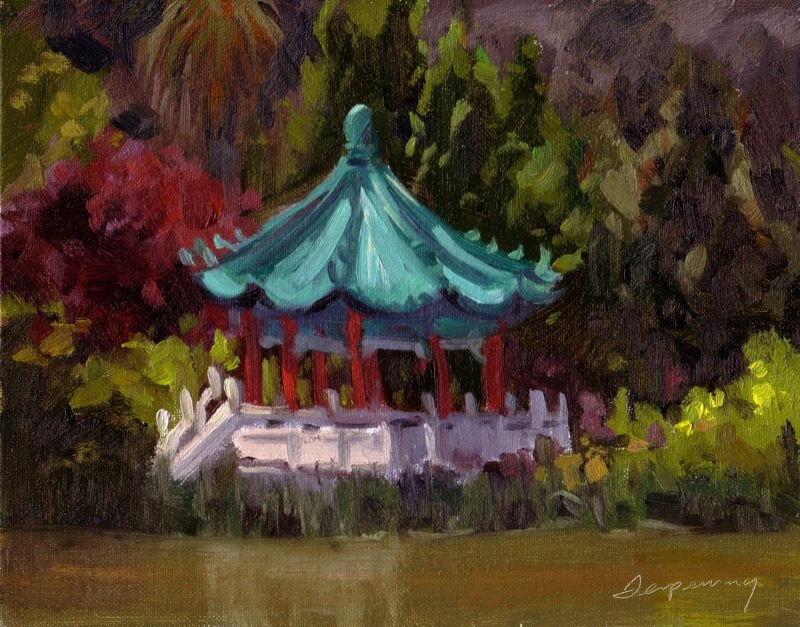 Here’s a plein air sketch of the Chinese Peace Pavilion on “Strawbery Hill“, Stow Lake, Golden Gate Park. The trick with this painting was to paint a monolithic structure. I kept it off-center, with the walkway on the left leading you in. The trees surrounding where also kept point in towards the center of interest, and varied in color to make things interesting. 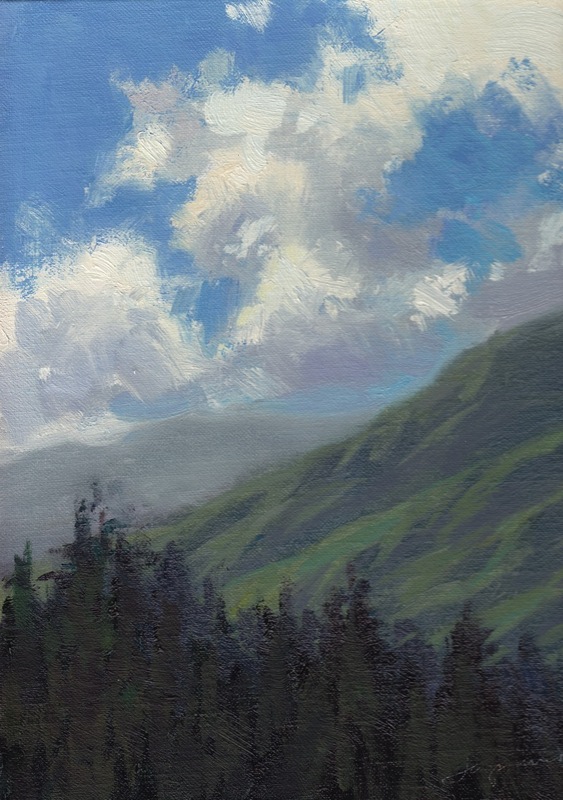 Looks like we’re going to enjoy good weather this weekend, so looking forward to painting plein air! I have some catching up to do after a long, wet winter. 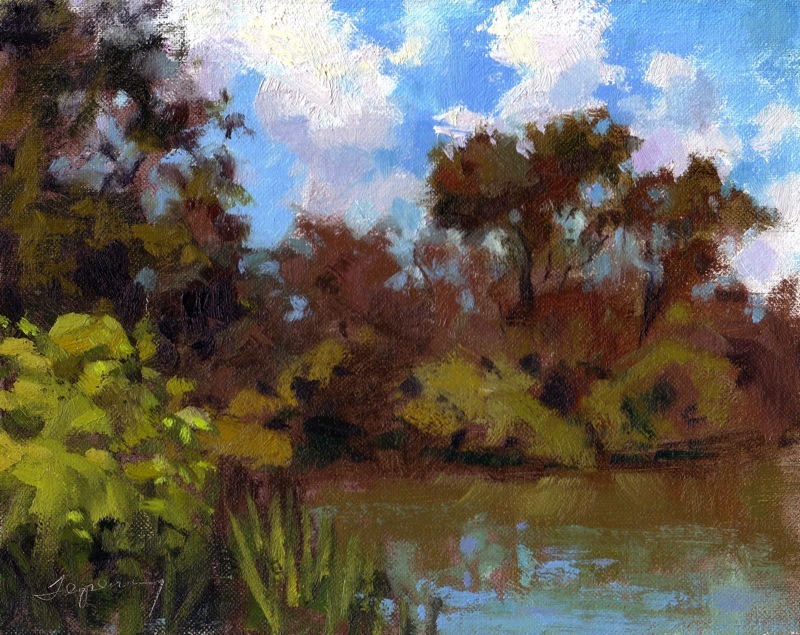 Here’s a plein air sketch of Stow Lake (Golden Gate Park, San Francisco) from the Chinese Peace Pavilion.